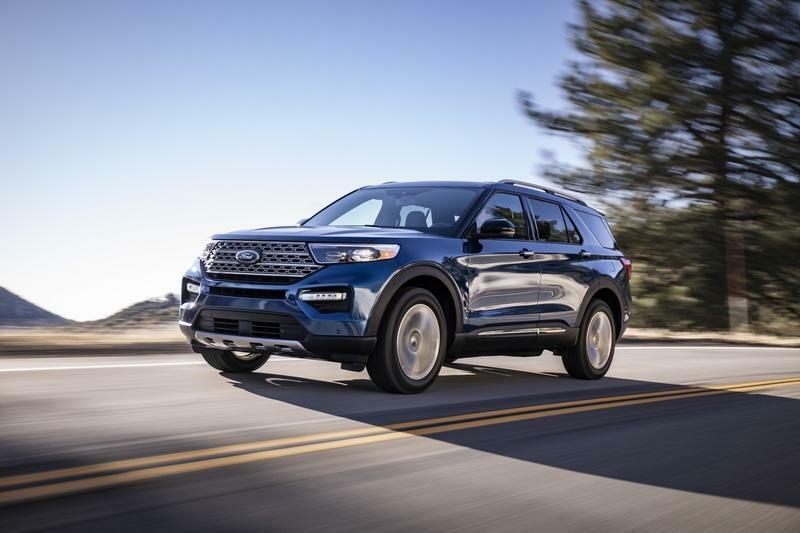 Since this Ford Explorer is all new, it looks nothing like the outgoing model and, in fact, it is one of the more distinctive Blue Oval vehicles currently on sale as it looks like no other vehicle in the range. 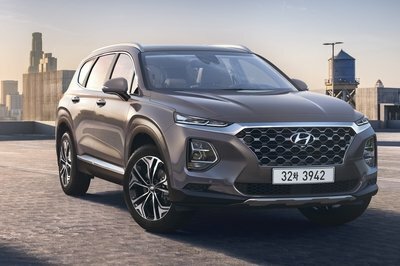 It has a bold face, its side profile is dominated by what seem to be oversized wheelarches and wheels, and the roof is angled towards the rear like that of the Range Rover Evoque to add a bit of sportiness. The back is the most conservative part of its design, but it actually completes the look really well and it’s certainly going to be less polarizing than the front fascia. 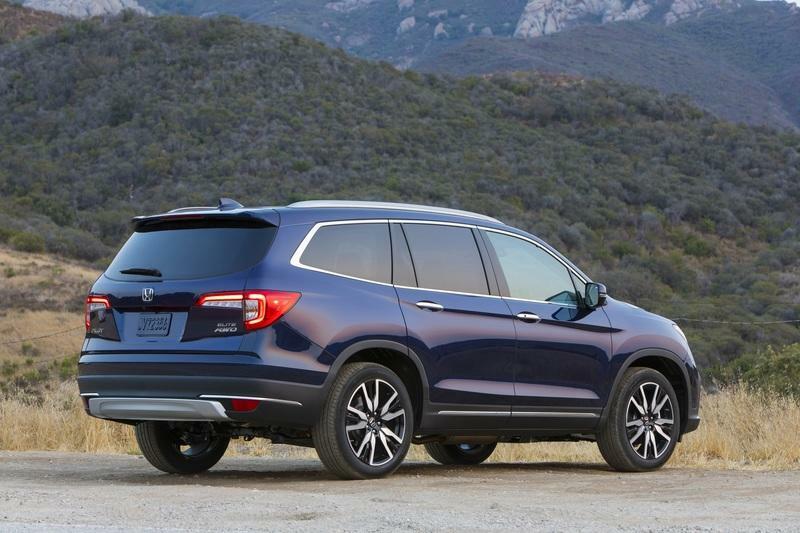 Honda played it safe with the Pilot refresh, maintaining the vehicle’s look instantly recognizable to anybody who knew the pre-facelift model. Its sharpened up standard LED headlights and fog lights and, while the slimmed and reshaped grille does make it look a bit more modern, from the side it looks exactly the same. From the rear, it looks identical aside from the redesigned light clusters. Out of the two, the Ford certainly stands out more from pretty much every angle. And, to my eyes, it also looks a bit more premium and exclusive with its newfound proportions courtesy of its longitudinally-mounted engine. Its hood is longer and the A-pillar starts further back, a look more commonly associated with large premium SUVs, thus hinting at Ford’s intentions for this model. The Ford’s front fascia may not be to everybody’s taste, though, and the Honda’s more conventional (and probably slightly more aggressive) face design will help it in terms of having mass appeal. 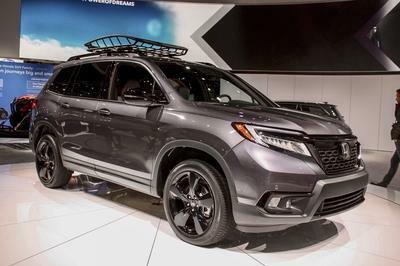 But from every other angle, it looks like a more posh and expensive alternative to the Honda Pilot. Inside the Explorer, everything is dominated by the large 10.1-inch touchscreen display that is probably one of the worst integrated screens in the industry. I see what Ford was trying to do there, to have as much of the screen high in the driver’s line of sight, but realistically it looks quite daft, and it just feels like something you can detach and take with you. If that was the case, you wouldn’t need to put it back since many functions are available through the 12.3-inch gauge cluster screen. 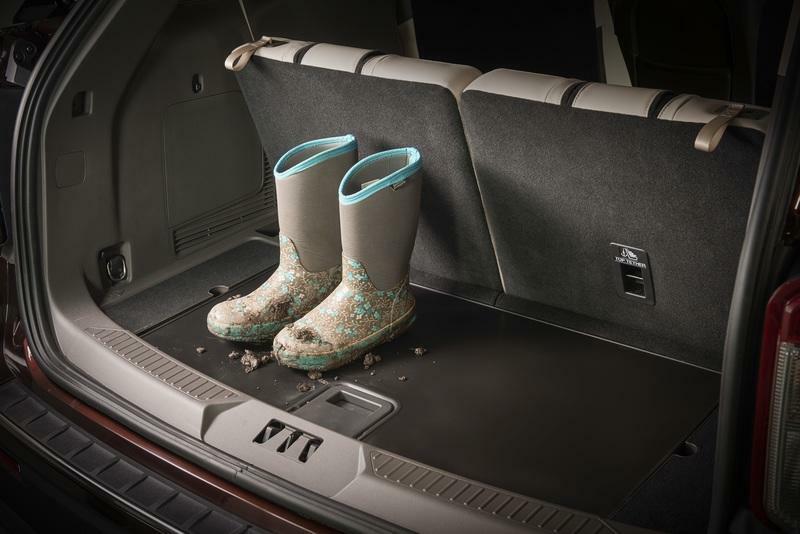 The rest of the Explorer’s interior is more successful, though. 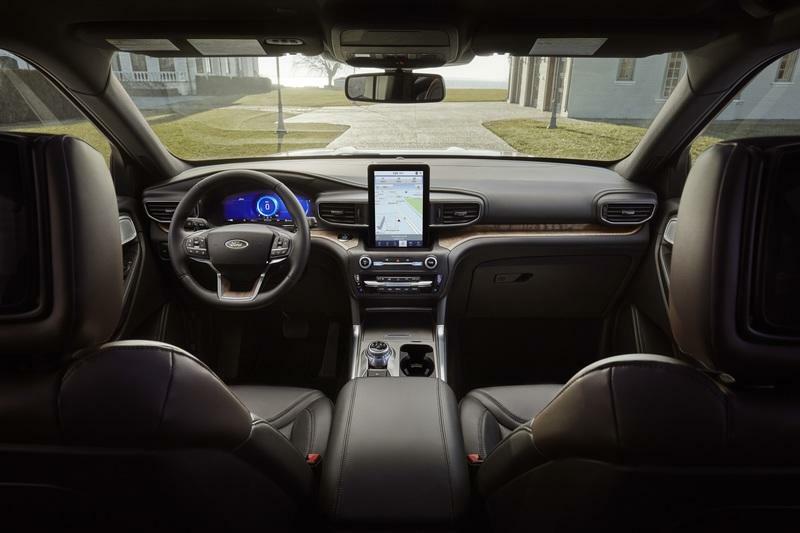 It looks vast inside, the quality of the materials seems really good, and the cabin looks almost as luxurious as what Ford offers in its higher tier Lincoln offerings. The more button-heavy interior of the Pilot certainly looks a bit busier and more cluttered, but at least its infotainment screen is much better integrated with the overall design. 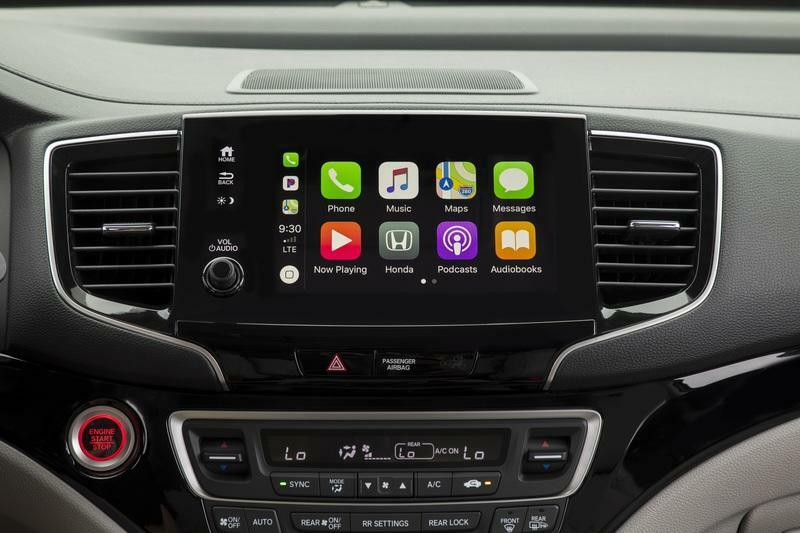 The Pilot's gauges aren’t fully digital, though, but they do feature a seven-inch color display, and the eight-inch centrally-mounted screen has a revised user interface courtesy of the 2018 facelift. 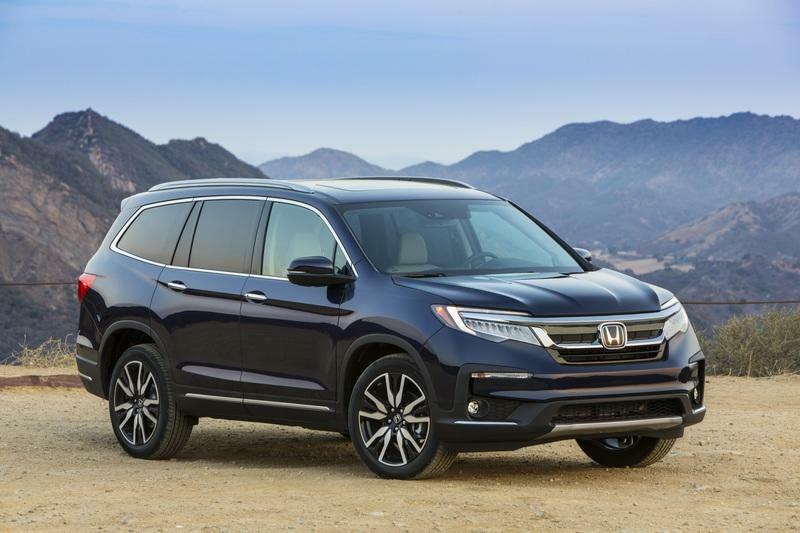 Seating capacity is where the Honda surpasses the Ford, since the Pilot can carry up to eight people, whereas the Explorer can only fit seven people. What’s interesting regarding this is the fact that even though the Honda can squeeze in an extra person, its shoulder room ratings for third-row passengers exceed what the Ford can manage. And, it also fares just slightly better when it comes to second-row shoulder room too. Overall, I think the Ford has the edge when it comes to looking more modern and fresh, whereas the Honda just looks closer to an early 2000s car inside. On the other hand, it is more spacious for passengers, even when carrying one more than the Blue Oval high rider in this comparo. Optional equipment includes adaptive cruise control with stop-and-go functionality and automatic lane centering, evasive steering assist, and voice activation. 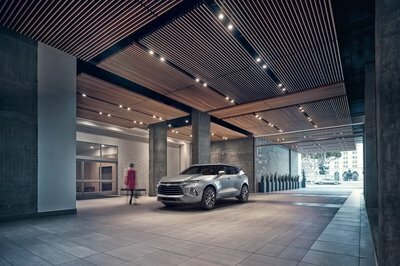 Ford will sell you the new Explorer in base form with a 2.3-liter, turbocharged, four-cylinder with 310 horsepower and 310 pound-feet (420 Nm) of torque. The only transmission option is a ten-speed automatic, but you can get it with optional all-wheel drive; otherwise, all power will be sent exclusively to the rear wheels. 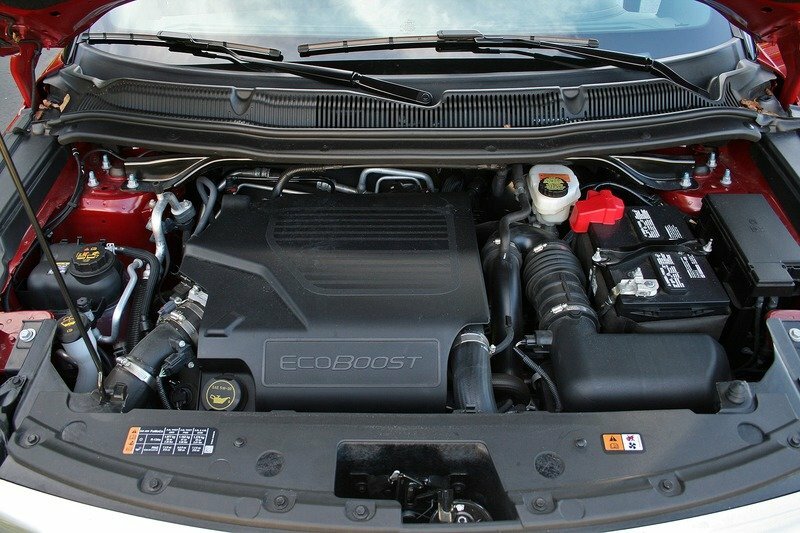 If you’re looking for more power, there’s also the 3.0-liter, EcoBoost, V-6 with 365 horsepower and 380 pound-feet (515 Nm) of torque. That engine is only available with all-wheel drive. 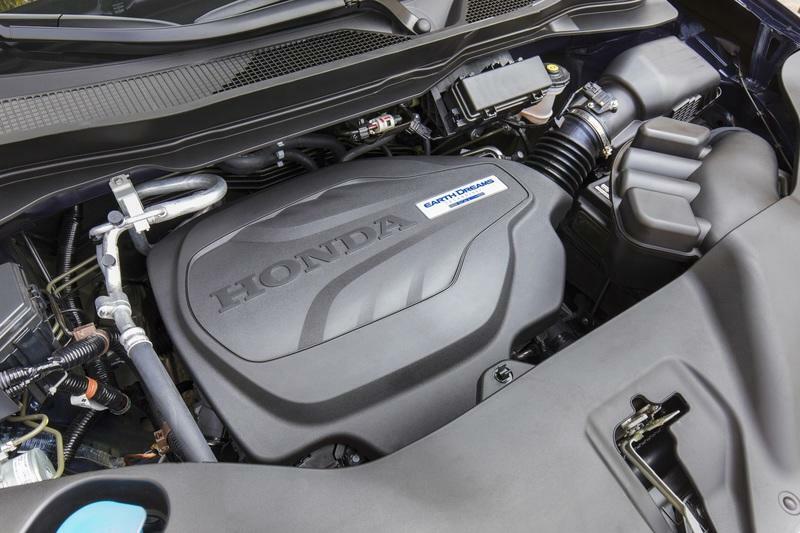 Honda has but one engine available to power the Pilot, a non-turbo 3.5-liter V-6 with 280 horsepower and 262 pound-feet (352 Nm,) of torque considerably less than either of the two power plants available for the Ford Explorer. 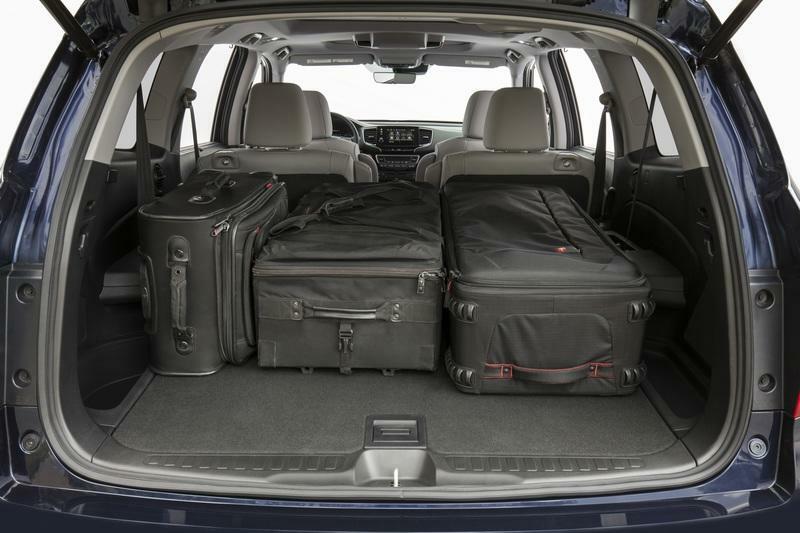 However, reviewers point out that the vehicle feels spritely and has enough performance to move itself around with ease, even when fully laden with people and cargo. You can choose between front- and all-wheel drive models each of which comes equipped with a different automatic transmission - front-driven examples get a six-speed while models with all-wheel drive come with a nine-speed auto. 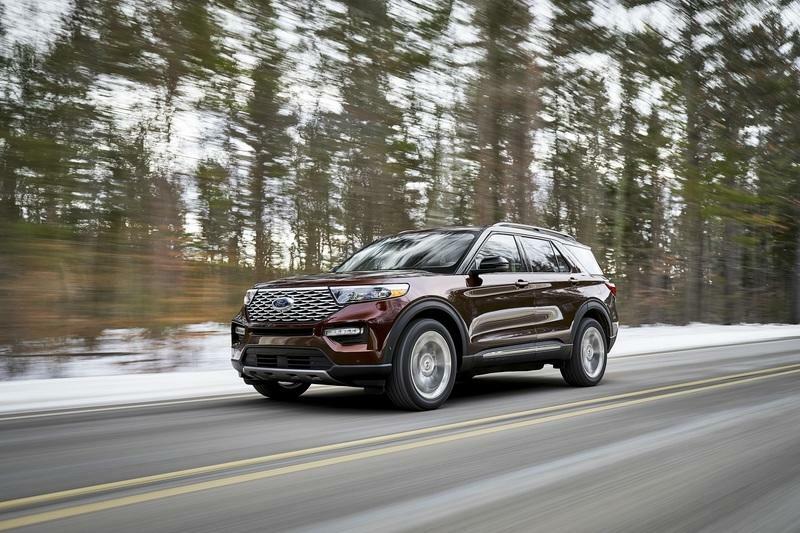 Ford has yet to publish towing and efficiency ratings for its new Explorer, but the Pilot in front-wheel drive trim averages a claimed 22 mpg and can tow up to 3,500 pounds. But with either engine option, the Explorer will probably feel much more muscular on the move better thanks to its considerably better torque rating. To top things off, there’s also going to be an ST version of the Explorer with even more power and on-road capability. Ford is also going to launch a Limited Hybrid model which is bound to use the same powertrain as revealed in the new Ford Police Interceptor Utility. 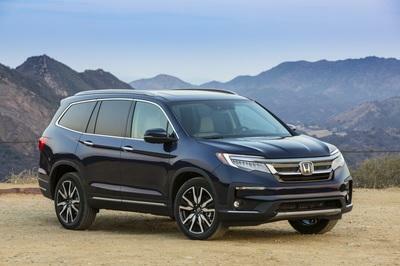 The Honda Pilot has been a good seller since the first model was introduced, way back in 2002, usually selling over 100,000 examples in the U.S. every year. 127,279 were sold in 2017, for instance, and the record sales year was 2006 when 152,154 examples found homes. 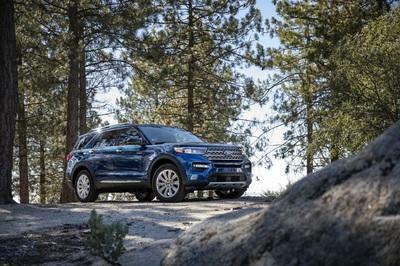 The Ford Explorer, on the other hand, used to be far more popular than it is today - its record sales years were between 1995 and up until around 2003, when Ford was moving more than 400,000 units annually. Sales of the Explorer plummeted in the mid-to-late 2000s (just 52,190 vehicles were sold in 2009, for example) but have slowly been climbing in recent years, especially after the introduction of the now outgoing Explorer, which debuted in 2012 with EcoBoost turbo power. Sales of the Explorer reached 227,730 last year, so the current model really needs to impress in order to continue the sales upswing. 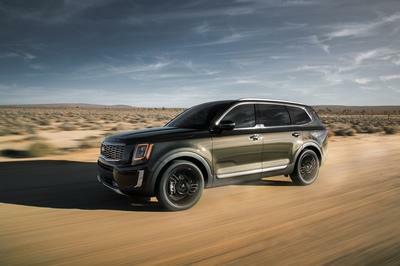 The new model is bold, powerful, fairly luxurious inside, and the nameplate it carries will help with sales too since the Explorer name is very familiar. It’s even familiar outside North America where you occasionally spot older generations of the model still running (most commonly the mid-1990s model). The Pilot accounts for a smaller segment of the market, but it too is increasing in popularity year-on-year. However, I think that the Explorer is the most impressive vehicle and, in general terms, the winner of this comparison. It looks more special inside and out than the Honda, it is more powerful (and there’s a kudos-boosting ST version on the way) and it just looks like you’re getting more vehicle for your buck. Now that’s not entirely true, since the Honda has one extra seating capacity and more standard safety tech, plus better reliability records than the Blue Oval. The Honda is a purchase you make with your head, but the heart will probably tug more towards the Ford. I’d buy it over the Pilot any day simply because of the rear-wheel drive layout that I associate with more expensive, premium cars, as well as the overall look and feel of the vehicle. 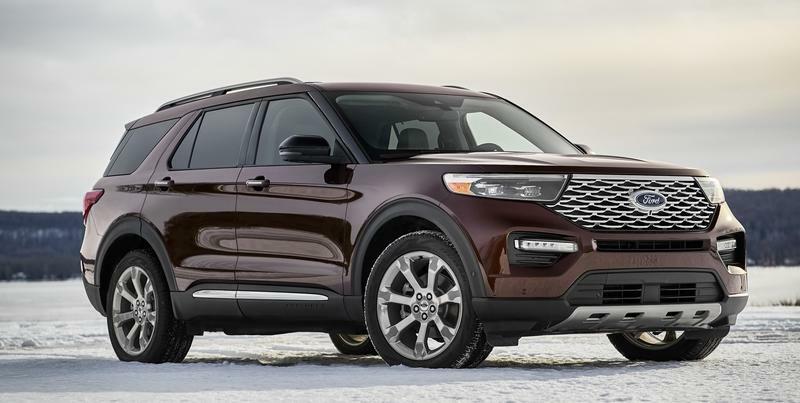 Pricing will also have to factor into this decision, but as of right now we don’t know how much Ford wants for the Explorer. If it’s going to be considerably more expensive than the Pilot, which starts at $31,450, then the decision will be made harder. The current Explorer range kicks off at $32,365, so it’s already a tad over, and there’s a good chance the new model will add even more, so we’ll have to wait and see for now. 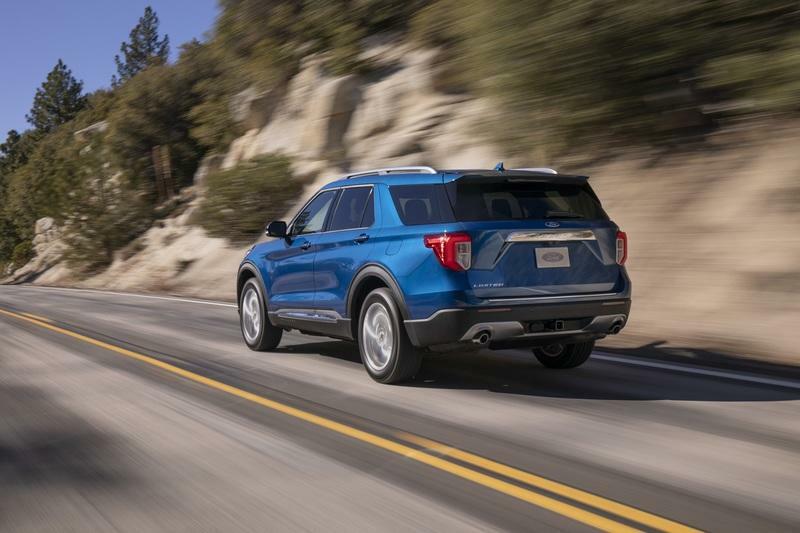 Read our full review on the 2019 Honda Pilot.